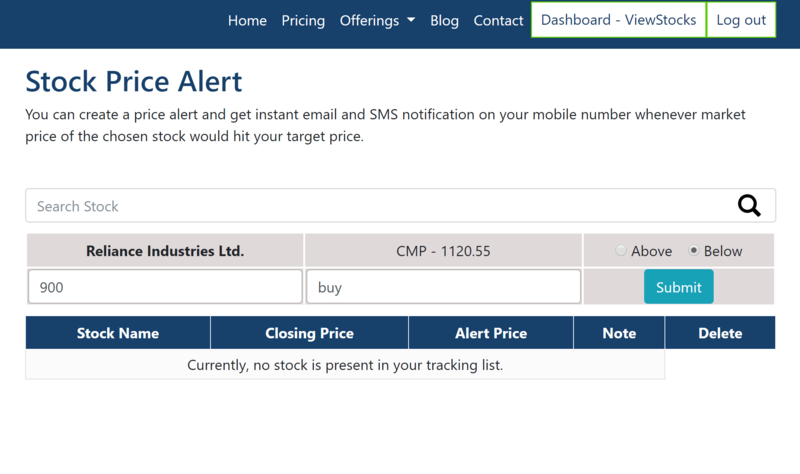 Now you can add a note while creating a stock price alert. The note can be anything related to your buying/selling targets, major support, resistance etc. There are no character limits, so feel free to write down. We believe adding a note while creating stock price alert will help us in better decision making rather than getting driven by emotions when price fall or jump. So, how to add a note while creating a stock price alert? Search any stock in the search bar. Add your target stock price, select above/below and add a note. I have added a note as ‘buy’. 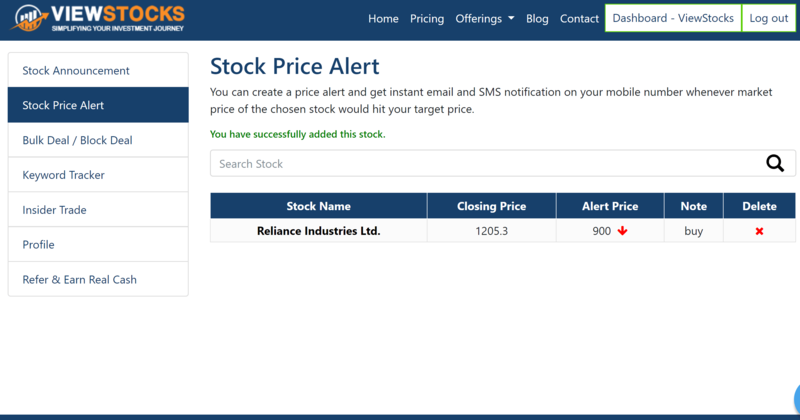 Now, whenever the stock would hit your set target, you would receive the stock price alert with you added note. An important thing to note here is that note is sent only over the email (in the SMS you would receive your target price along with CMP; note won’t be sent there). Feel free to leave a reply in the comment section, if you need any assistance or have any feedback. Also see – How to get BSE announcement for your watchlist stocks directly on your mailbox, in real time.